If your government contract is covered by Cost Accounting Standards (CAS), you must be sure that you do more than complete a CASB Disclosure Statement. You need to complete it correctly, and without making the common mistakes that cost contractors their margins—and more. How do I approach disclosure so that I anticipate challenges and avoid costly pitfalls? Let an expert give you the practical answers you need to stay compliant and profitable. Register now for Demystifying CAS and the Disclosure Statement. This 90-minute webinar helps government contractors troubleshoot common but costly mistakes in preparing your CASB Disclosure Statement. Your guide, Marie Salamone, draws on deep experience with contract cost accounting and compliance. She will alert you to key challenges and pitfalls so that you will be able to address them before you encounter problems during an audit. Take the guesswork out of CAS compliance. You will gain a clear and current understanding of Cost Accounting Standards and the entire disclosure-statement process. Practical tips help you reduce the time and risk of preparing your document, while real-world suggestions help you clear obstacles every step of the way. You will also have the chance to ask your own questions during the Q&A portion of the webinar. Remember, your expertise in completing the Disclosure Statement can make the difference between CAS compliance and problems that affect everything from your pricing to your entire contract. Do not miss this opportunity to master the process! This webinar is of value to all government contractors and subcontractors that are (or expect to be) CAS-covered. 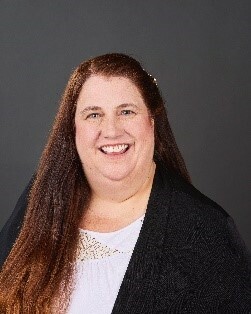 Marie Salamone, CCP, MBA has more than 29 years of government contract cost accounting and compliance consulting as well as cost engineering, construction claims analysis and litigation experience in an array of industries that include pharmaceutical, defense, manufacturing, service, energy, and waste management. Utilizing her expertise in the construction industry, Marie serves clients of all size by providing accounting, contracts, compliance, and claims support. She has developed numerous incurred cost proposals for a wide variety of clients, ranging from very simple to very complex rate structures with mix of contract types. In addition, Marie has provided audit support to clients undergoing various DCAA audits. She has also managed large teams taking on complex projects. Marie has also developed termination proposals, forward pricing proposals and policies and procedures for both large and small contractors across many industries. Prior to joining Capital Edge Consulting, Inc., Marie spent 12 years with a nationally recognized consulting firm, focused on government contracts and construction consulting. She also spent more than 10 years working with a boutique consulting firm specializing in construction related claims and litigation support.